BRYAN EATON/Staff photo. The Breshanan School resumed their afterschool programs last week after a hiatus from the fall session which include various activities for youngsters. 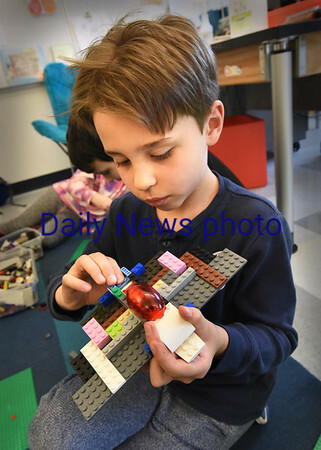 Gabriel Simiao, 7, created an airplane in the Lego's class using an owl as a pilot.